Pentagon signals to Russia and Iran that American forces will not leave the war-torn country anytime soon • Russia says U.S. presence in Syria is illegal, is harboring terrorists • Washington sees outpost in southern Syria as a bulwark against Iran. Col. Muhanad al Talaa, commander of the Pentagon-backed Maghawir al Thawra group, told Reuters the eight days of drills that ended this week at the U.S. military outpost in Tanf were the first such exercises with live-fire air and ground assault, involving hundreds of U.S. troops and rebel fighters. “The exercise was conducted to reinforce our capabilities and ensure we are ready to respond to any threat to our forces within our area of operations'” Col. Sean Ryan said. Russia and the Syrian government have repeatedly called on Washington to pull out its troops from Tanf base, where it has declared a 55 kilometer (35 mile) radius “deconfliction zone” off-limits to others. The “deconfliction zone” has become a safe haven for at least 50,000 civilians who live in the Rukban camp that lies within it. Russia’s defense ministry in August repeated an accusation that Washington has been harboring Islamic State terrorists within the zone. Turkey warned Thursday that any military operation in Syria’s Idlib would bring disaster to the region. Turkish Defense Minister Hulusi Akar said his country was working with Russia, Iran and allies to stabilize Idlib and to prevent a humanitarian tragedy there, Anadolu said. Now the US risks losing in Iraq again as enemies of Washington seek to form a government coalition and Congress seeks to sanction militias that hold sway in Baghdad. US Congressman Ted Poe has been pushing to sanction Iranian-backed militias in Iraq. In mid-August he spoke about the need to “stand up to Iran’s proxies” in Iraq. “The country is attempting to rebuild,” he said. But the Shia militias were not disbanding and their presence was undermining the government’s authority. Poe is just one of many voices in Washington who have been warning about Iran’s creeping influence over Iraq. Earlier this week, the White House warned that Tehran would be held accountable for the actions of the proxies it backs in Iraq. But the US administration is less willing to say which proxies it means. Poe has singled out Asa’ib Ahl al-Haq and Harakat Hezbollah al-Nujaba. When Congress was debating the National Defense Authorization Act (NDAA) there was a provision to impose sanctions on them in the version of the bill presented in the House. But in the final version they weren’t specifically mentioned. This is because Congress – and by extension the administration – is reticent to name groups because it would then mean confronting the degree of Iranian involvement in Iraq and mapping out the proxies that are not merely tied to Iran but are also part of the Iraqi government. Militias like Al-Nujaba, Asa’ib Ahl al-Haq, Kata’ib Hezbollah and Badr grew in strength during the war against the Islamic State. Many of their leaders are not only tied to Iran and the Islamic Revolutionary Guard Corps (IRGC) but they are led by those the US has sanctioned for terrorist acts in the past. Qaiz Khazali of Asa’ib Ahl al-Haq was once detained by the US and Abu Mahdi al-Muhandis of Kata’ib Hezbollah has been sanctioned in the past. But their militias were part of the Iraq’s Popular Mobilization Units during the war on ISIS and they were incorporated into the official Iraqi paramilitary forces between 2016 and 2018. Some of them even managed to “borrow” tanks the US had supplied to Iraq. In November, al-Nujaba was asked about its heavy weapons. “We are not rebels or agents of chaos and we do not want to be a state within a state,” Al-Nujaba’s Hashim al-Mouasawi told reporters. It didn’t have to be a “state within a state” because it was increasingly part of the state. When former US Secretary of State Rex Tillerson told Iraq that the militias should go home, Prime Minister Haider al-Abadi responded that they were the “hope” of Iraq. A year later Abadi is in the middle of a tug-of-war between Washington and Tehran.Washington wants to see an amenable administration emerge in Baghdad and Iran’s influence diminished. This is part of the Trump administration’s overall policy spelled out by the Iran Action Group formed in August. But the US doesn’t know how to wean Baghdad off the militias. Abadi has sought to reduce the power of the PMU after Hadi al-Amiri of the Fatah Alliance came in second place in elections. Abadi’s “victory” coalition came in third. In a sense, Abadi sees himself as the person who helped lead Iraq to victory over ISIS and now the PMU leader Amiri is taking the spoils. Abadi is also a pragmatic politician who seeks to work with Iran, Turkey, the US and Saudi Arabia. This shows the extent to which Washington has ignored the need to confront the IRGC in Baghdad. The question is whether it is too late. The Kurdish parties in Iraq, once the closest allies of the US, were dismayed last year when Washington harshly opposed their independence referendum. 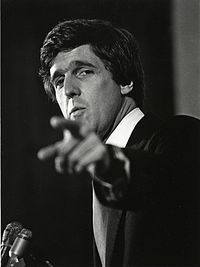 Little was done to help the Kurds as Baghdad closed the airports in their region and sought to isolate them. Sunnis in Iraq also remember when the Obama administration sided with Nouri al-Maliki, a rightwing Shia leader who came in second in the 2010 elections, instead of backing Ayad Allawi, the secular centrist candidate. Later it was revealed that Washington thought a strongman, even one allied with Tehran, would be better for Iraq. Instead Maliki alienated Sunnis and helped cause the chaos that led to ISIS. Today, Washington faces another challenge in Baghdad and in the Kurdish regional capital of Erbil. If it can’t help salvage a working relationship and find allies, it will have given Iran a major win. If you happen to be curious about the depths of obsessive, visceral hatred possible in a human being, then look no further than here. Sheer (pun intended) unadulterated poison. What follows is the first significant translation of the newly-released book, ‘Palestine’ by Iran’s Supreme Leader, Ayatollah Khameini. The page numbers below refer to the original PDF in Farsi (available here). This page will be updated as more of the book is available in translation. 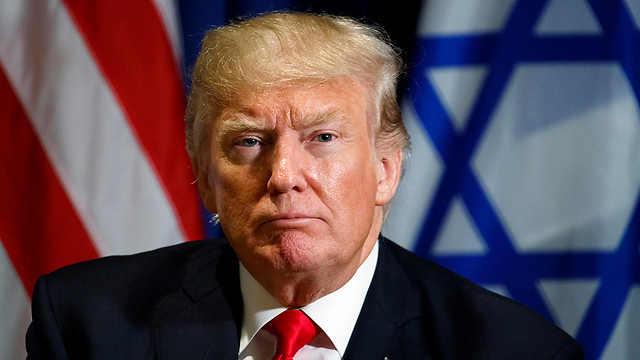 Op-ed: The US president has not yet managed to achieve the ultimate deal between the Palestinians and Israel, but he has taken steps that may push the former in the right direction. 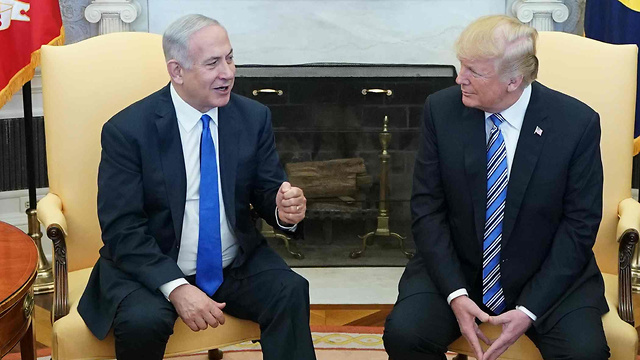 His style has also had a profound impact on the culture of Israeli politics and has undermined the very reason for Yair Lapid’s political existence. I am proud to say that I own a piece of this artist’s work. I am always walking around with a physical reminder of the creativity and life-affirming nature of the Jewish people, and of the destructiveness and death-loving nature of the followers of Mohammed. Instead of therapy, Gaza area artist Yaron Bob turns Hamas rockets into mezuzot, flowers, and birds. 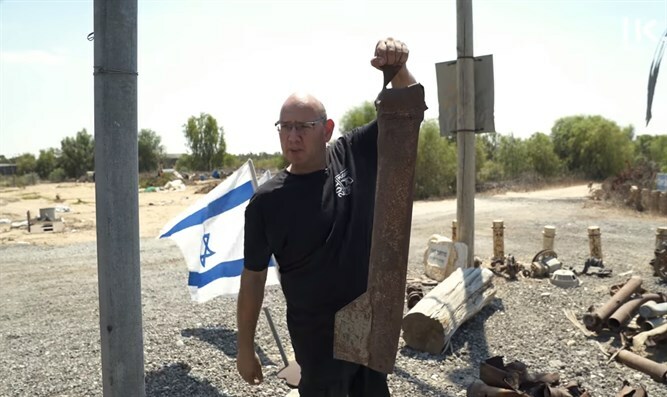 Holding aloft a missile fragment, Gaza-area artist Yaron Bob explains to a Kann interviewer that not long ago the projectile had penetrated an Israeli car. “The incredible Iron Dome is Israel’s missile defense system. When rockets are fired into Israel, the Iron Dome shoots a missile to intercept the rocket, preventing destruction and the murder of innocent lives,” says the description of one item on Bob’s website.